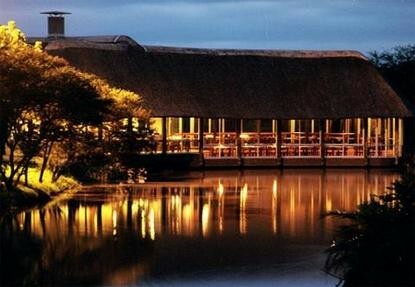 Premier Hotels & Resorts’ Mpongo Private Game Reserve is currently undergoing an R18 million refurbishment to enhance its offerings. With the resort gaining increasing popularity as a conference venue with a difference, thanks to its tranquil surroundings, intimate venues and tailor-made packages, the need to expand its facilities became evident. As a result, this Eastern Cape escape will receive renovations to the restaurant, enhancements to the Edu-Centre, new administration offices, additional rooms and two more lodges. What’s more, the lions in the Reserve will be moved to a specially allocated area to assist in furthering the resort’s conservation objectives. The Huberta Restaurant, where the dining experience is complimented by views of hippos frolicking in the surrounding waterhole, will be expanded and remodelled with a wildlife theme that also echoes the look and feel of a lodge whilst encompassing conservation principles. This motif will be extended to the Edu-Centre to which primary schools are invited to learn about nature and the environment. In addition to the construction of two dormitories capable of accommodating 32 guests, two lodges are being built. 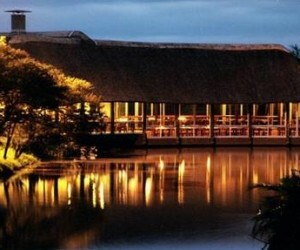 The one will be a five star lodge, equipped with six rooms decorated with an African/Colonial feel. It will provide guests with luxury and comfort whilst they take in stunning views of the reserve. The other will be a four star lodge kitted out with 25 deluxe rooms to accommodate conference delegates, wedding attendees, team building groups and the like. The work, executed by a crew of over 100 workers from Dewing Construction, is being done in phases to prevent any impact on guests. In addition, the construction and refurbishment has been of enormous benefit to the 50 families in the surrounding communities of Mpundu Village and Newlands with the provision of temporary employment to residents. The project’s completion is scheduled for mid-2016, with an official launch on the 1st of September 2016. “We are thrilled to soon be unveiling our new offerings and further enhancing the guest experience within our formidable private game reserve,” says Samuel Nassimov, Managing Director of Premier Hotels & Resorts.